Learn how to do essential calendar tasks in Connections Mail. If a meeting in your Connections Mail calendar says Response needed, click it to open and respond to it. 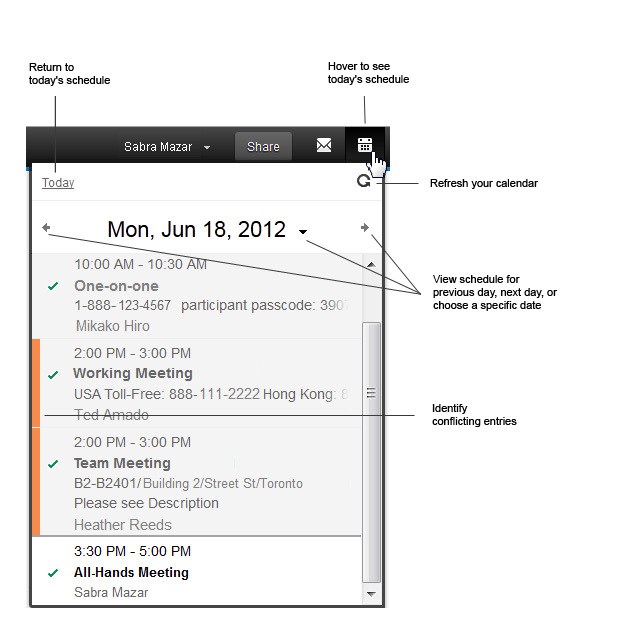 In the Calendar window, click the corresponding button to accept, decline, or update the meeting. Meeting notices are removed from your inbox according to the preferences you set in IBM® iNotes®. After you remove an invitation, you can still find it in your full mail client. Change the calendar display preferences in IBM iNotes. In the calendar, click the calendar entry. Click the previous day or next day arrow, or click the arrow next to the date header and select a date. Look for a bar that precedes conflicting calendar entries.